When John Kerry steps down as secretary of state, it will be with the knowledge that President-elect Donald Trump has vowed to undo with the stroke of his pen nearly every accord Kerry labored over for four years and logged 1.3 million miles to achieve: climate change, trade, Iran’s nuclear deal, restored ties with Cuba, sanctions on Russia, and more. Their fate depends on whom the president-elect chooses to replace Kerry and whether Trump makes good on his rhetoric. But Kerry, who has done time in the loyal opposition before, says he isn’t giving up. Having traveled a few hundred thousand miles with him during his time as secretary, I can attest that Kerry at 72 has more energy than most people decades younger. He’s not saying if he’ll work with a global organization, a university, or the private sector, but whatever he does, he’ll fight for what was — before Trump — seven decades of largely bipartisan support for US leadership in global security and economics. “We’re going to have one hell of a debate over the course of the next few years . . . and I can promise you this . . . I am not going to go quietly into the night,’’ Kerry declared to raucous applause from the Women’s Foreign Policy Group, which gathered in Washington Tuesday for what was billed as a valedictory address. What they got instead was a cri de coeur not to toss hard-fought deals in the dustbin. 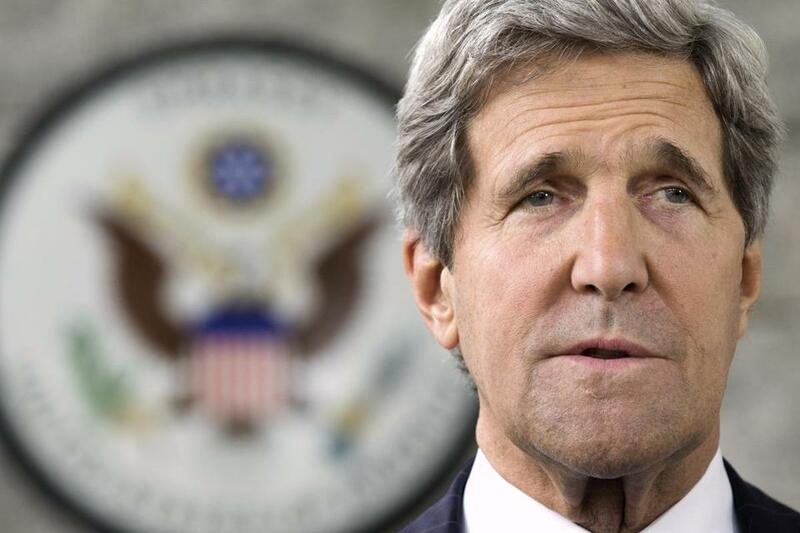 Hoarse from a cold, Kerry went on for an hour, warning that if Americans cut off the world, we’ll pay the price. Without naming Trump, he bemoaned blaming others for problems we’re “unwilling to address.” We’re fighting “a dragon called trade,” when the issue is “inequity”: lack of education, retraining, good wages, adequate Social Security benefits, a workers safety net, he said. Kerry cited a Brookings Institution report that, like plenty of other research, concluded that automation and technology (like robotics and 3-D printing), not trade, are behind 85 percent of manufacturing job losses in the US. But Trump has seized upon on trade as the scapegoat, pledging on day one to scrap the Trans-Pacific Partnership, a 12-nation accord negotiated by Barack Obama (and George W. Bush before him) to boost access for US exports, raise global labor standards, and prevent China from imposing its own rules. Trump has also vowed to renegotiate or withdraw from NAFTA — without mentioning (or perhaps even realizing) that we sell more American-made goods to Mexico and Canada than anywhere else. On Iran, Trump has said he’d dismantle the nuclear deal much maligned by Republicans. Before the accord, Obama said Iran had enough fissile material to make a nuclear bomb in two months; the agreement forced Iran to radically reduce its uranium stockpile, restrict other activities, and submit to intrusive monitoring. Scrapping it “doesn’t compute under any reasonable standard of common sense,” Kerry argued — a notion echoed this week by CIA Director John Brennan. Kerry also stressed the importance of the United States contributing to a better world, citing the long-term payoff our postwar rebuilding efforts in Europe and Japan had in fostering strong allies, and more recent efforts like funding education for girls in Afghanistan. The US isn’t a poor nation, Kerry said, and shouldn’t act like one by cutting the mere 1 percent of the budget that goes to foreign aid. But he saved his most passionate defense for climate accords like the Paris deal to reduce greenhouse gas emissions. That’s not surprising: My first interview with Kerry, 19 years ago, was at climate talks in Kyoto, Japan, when he was already deeply concerned about the threat to the planet. Indira A.R. Lakshmanan is a Washington columnist. Follow her on Twitter @Indira_L.